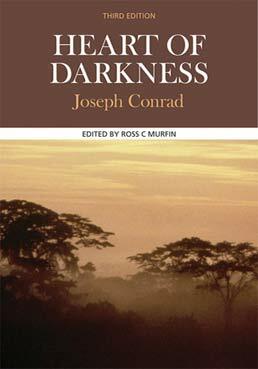 This edition of Joseph Conrad's Heart of Darkness combines the classic text with an assortment of documents which put the novel into historical context, and critical essays that take several contemporary critical perspectives to help you better grasp the text. PATRICK BRANTLINGER, Heart of Darkness: Anti-Imperialism, Racism, or Impressionism? Joseph Conrad was a master prose stylist, widely regarded as one of the greatest English-language novelists. Writing in the heyday of the British Empire, Conrad drew upon his experiences in the French and later the British Merchant Navy to create short stories and novels that reflect aspects of a worldwide empire while also plumbing the depths of the human soul. Ross Murfin, E. A. Lilly Distinguished Professor of English and former provost at Southern Methodist University, has also taught at the University of Virginia, Yale University, and the University of Miami, where he was the dean of the College of Arts and Sciences until 1996. He is the author of Swinburne, Lawrence, Hardy, and the Burden of Belief (1978); The Poetry of D. H. Lawrence: Texts and Contexts (1983); Sons and Lovers: A Novel of Division and Desire (1987); and Lord Jim: After the Truth (1992); and the editor of Conrad Revisited: Essays for the Eighties (1983). The series editor of Bedford/St. Martins popular Case Studies in Contemporary Criticism, he has also edited two volumes in the series, Joseph Conrad’s Heart of Darkness (Third Edition, 2011) and Nathaniel Hawthorne’s The Scarlet Letter (Second Edition, 2006).